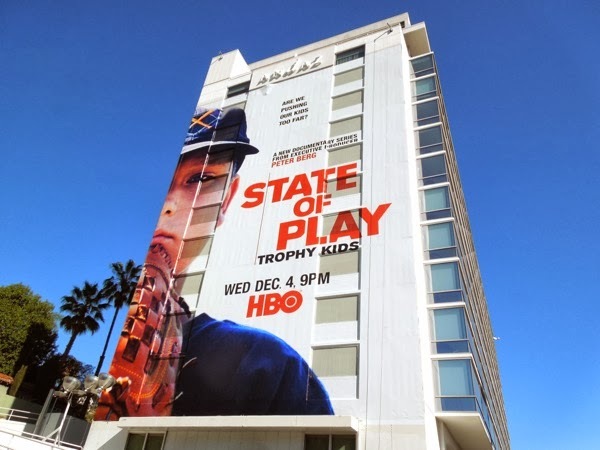 If you thought things were competitive in the world of child beauty pageants, that's nothing compared to the seriousness that is little league baseball. 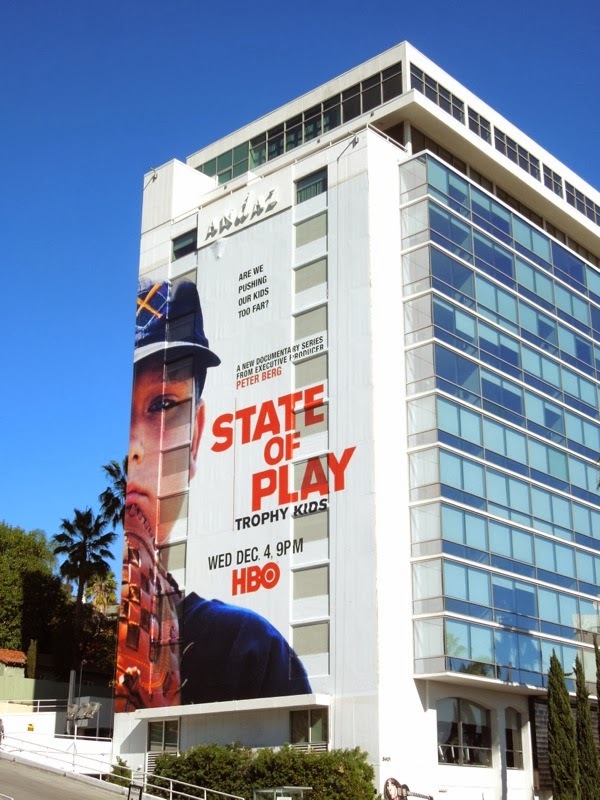 HBO's new documentary series about the world of sports kicks off State of Play: Trophy Kids, a look at the growing obsession of parents in their children's scholastic athletic competitions. 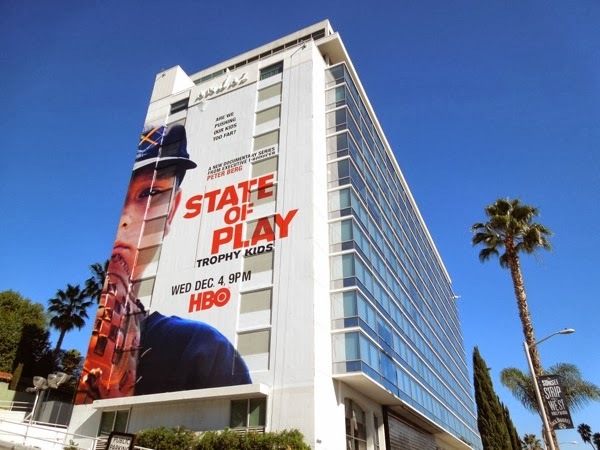 HBO Sports is teaming up with filmmaker Peter Berg to produce the series of documentaries, well known for writing and directing the 2004 Friday Night Lights feature film and spin-off TV series about high school American Football. 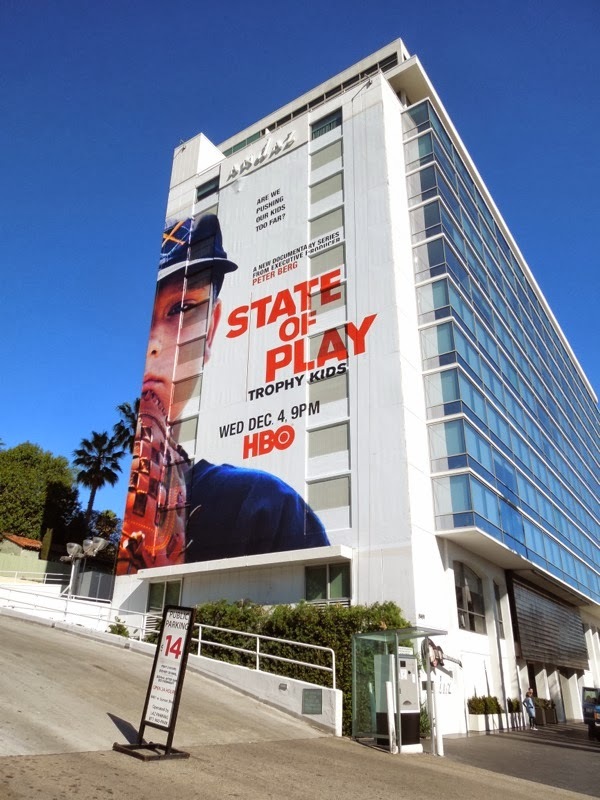 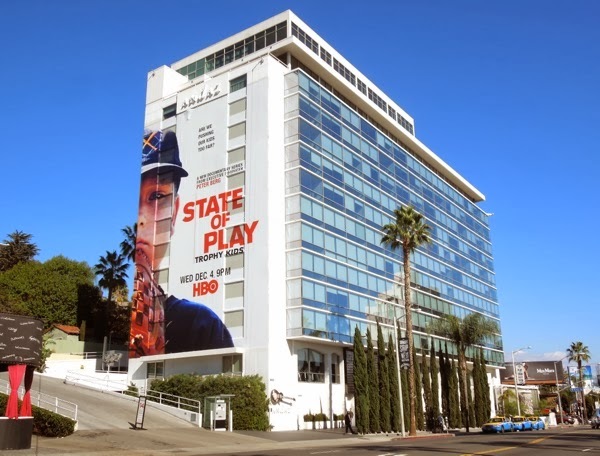 This giant-sized billboard for the sporty docu-series was snapped on the side of the Andaz Hotel along the Sunset Strip in West Hollywood on November 24, plus the standard landscape creative was spied further east along Sunset Boulevard on November 30, 2013. 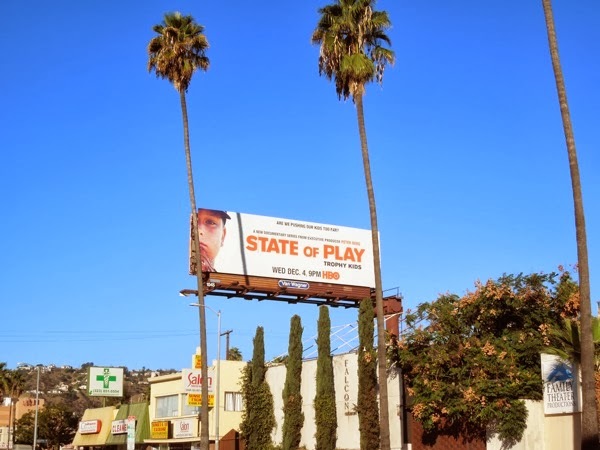 This image for the show is a great choice as you can't tell whether the boy is concentrating whilst in the middle of a game, or feeling miserable as sin.